If you’re anything like me, when it comes to planning outfits for events you tend to overthink it a bit. I personally usually head straight to Google or Pinterest to find inspiration (I’m low-key addicted to Pinterest, I can’t lie)! In this blog I will be giving you some helpful tips and tricks to prepare for your session! If you haven’t already heard, if you book your wedding package by September 31st, you will receive $95 off on your engagement session!! Head to my contact page to get in touch and find out more! I hope this blog helps you as you plan for your session! Although Nick and Lauren aren’t engaged, this session was honestly one of my favorites of the summer and they’re so cute! I had to use them as an example. I usually recommend starting off in whatever you feel most comfortable in so that you can ease into the session. In Nick & Lauren’s case, jeans and a nice top were perfect! Lauren and Nick came with their dogs, so we got most of the pictures with their fur babies done first. That’s why the more casual outfit option worked the best as their first outfit! You may have to change in your car or, like Nick and Lauren, set up a quick makeshift tent in a a gazebo to change. Guys have it easy: Nick literally just had to change his shirt. Lauren was really smart, though. She wore a skirt that she could just pull on over her jeans, and tops that were quick and easy to change. Make sure that your outfit is cute and functional! Keep in mind where your session is going to be. If it’s outdoors, what season is it? Do your outfits fit together cohesively? Do those outfits compliment your location? Below you’ll see how great of a job Beth & Dan did with their session and planning their outfits! These two are some of the BEST people I’ve met. We actually ended up going to two locations and they had three outfits for their session. We started out at a beautiful forest location. For this part of their session they kept their colors natural and neutral. When planning your outfits, keep in mind the seasons and how that will affect the environment where you session will be taking place. Pick out complimentary colors for the space you will be occupying! 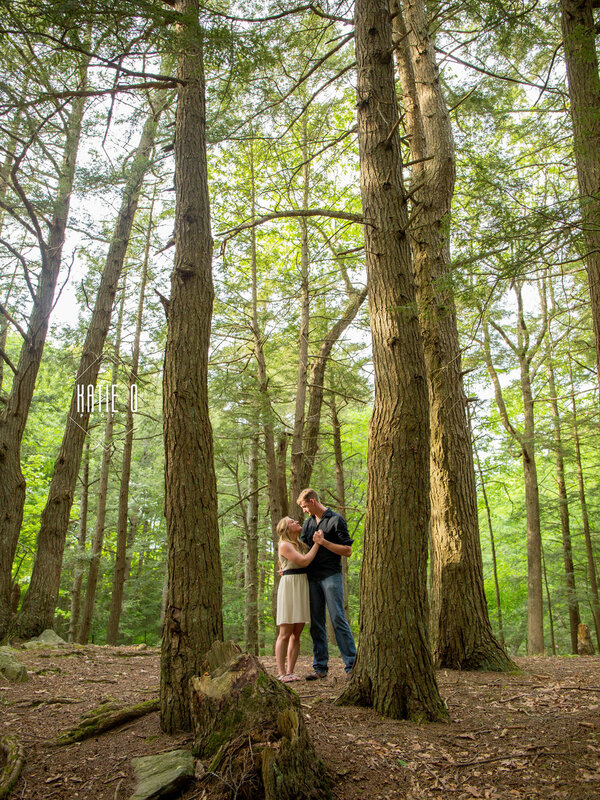 We ended Beth & Dan’s session at Harkness State Park, and their outfits were perfect for this location, as well! I was (and still am!) obsessed with how the tones from the sky, the water, and their outfit were pure magic. Also, they cute as heck. They are the perfect example of what to do: plan your outfits so that you and your partner are a cohesive pair with your session’s environment. That way you will compliment each other and wherever you’re going to be taking pictures! You’re afraid you’ll look silly or that you’ll do something with your face to really accentuate your double chin. First of all, believe me when I say your double chin really is just your chin and you look beautiful (you also can’t beat my triple chin, we should have a competition). Secondly, DO IT. It makes for really fun, lovely portraits! 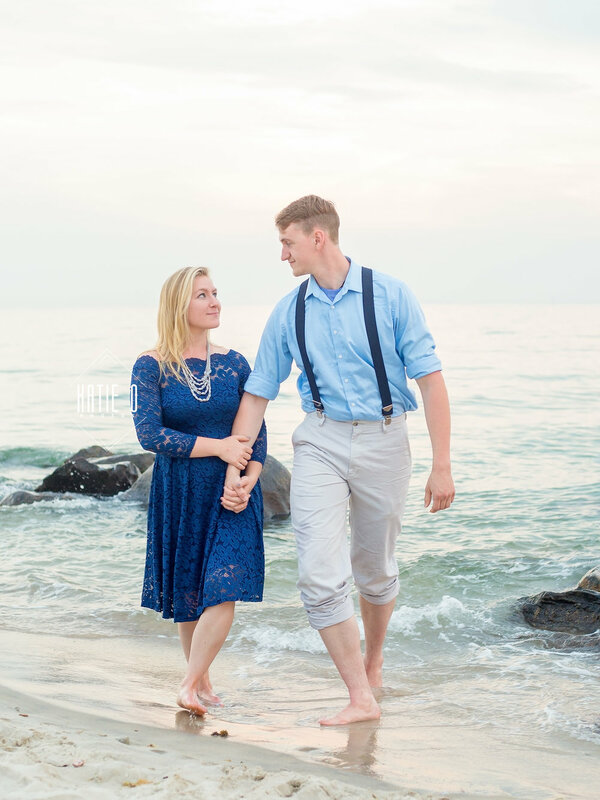 Darlene and Eric started off with their complimentary, dressed up outfits at Stonington Vineyard smiling lovingly at each other during their session. And ended with jeans, Louboutins, t-shirts, and Eric running through the vineyard with Darlene thrown over his shoulder. Do cute things with your sweetheart that you think might not photograph well, because they absolutely will. The most important thing to keep in mind is to have fun! Your engagement session is about the two of you, madly in love and showing it off to the world. You’re beautiful, sweet, handsome and extremely photogenic. Just relax and hang out! As long as you remember these three key things when planning your session, you’ll be just fine.